Striving to be the premier tree service company in Ottertail, Alexandria, Rochester, St. Cloud, and Mankato, Minnesota and the surrounding region. Our crews provide professional tree removal services in any location. We offer services for DNR, DOT, City, County, Township, and State properties. We have all the right equipment to fulfill all utility line clearance jobs. Serving customers in Ottertail, Alexandria, Rochester, St. Cloud, and Mankato, Minnesota, we provide a wide variety of tree services for residential, governmental, and utility properties. Founded in Ottertail, MN by a father and his sons. Proud member of the International Society of Arboriculture. Serving residential, governmental, and utilities. At Carr’s Tree Service, we’re dedicated to our customers and provide ethical and responsible business practices by being honest and showing integrity in our work. From stump grinding to tree trimming and more, safety, production, and efficiency are at the forefront of every project, and our customers know they can count on us because of our hard work and reliability. 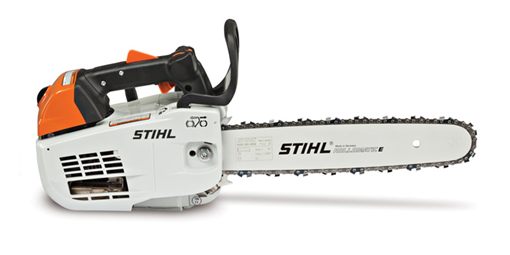 We are an authorized Stihl Dealer.